How do I decide which perfume I'll be reviewing for any given week? Sometimes my choice is inspired by the weather, by my mood, or by the timeliness of a new release. On the other hand, chance sometimes plays a role: last Sunday morning, I was looking over a handful of sample vials, trying to make a selection, when George Gershwin's An American in Paris came on the radio. My eye fell on one of the samples in front of me: Gershwin, then! Maria Candida Gentile is an Italian perfumer who trained in Grasse; her fragrances are all evocatively named and seem to contain an unusually high percentage of natural ingredients. Gershwin, which is indeed an homage to the American composer, is a citrus-woods fragrance with top notes of winter lemon, Sicilian lemon, bitter orange, grapefruit and black pepper; heart notes of sycamore and water flowers; and base notes of cloves, sandalwood and incense. Gershwin opens with bright and pleasingly rough-edged notes of lemon and orange — they have a bitterness that makes them more sophisticated than most fruit top notes, as though we're getting plenty of zest and rind, rather than sugary lemonade. Gershwin also has just enough pepper and woods to give a the composition some heft without obliterating that citrus. Something in the heart of the fragrance (the sycamore? a resin?) smells almost pine-y, lending an outdoorsy feeling and some darker strokes of color to the overall blend. The cloves aren't noticeable; neither, to my relief, are the "water flowers." The lingering woody base notes are dry and raspy and still slightly citrus-tinged. Testing the Gershwin fragrance for several days in a row, I found myself looking forward to each wearing, as I tried to tease out and identify its deeper notes. I think I prefer Gershwin's citrus-and-woods harmony to the current formulation of Annick Goutal Eau d'Hadrien. This fragrance has very good staying power for a composition with so many citrus notes. It also happens to lift my mood a bit during these initial dark-and-dreary evenings of early winter. So, what about the name? Maria Candida Gentile's Gershwin is "an ode to the forests, flowers and sounds, musics [sic] of different continents which one can grab only by exploring, an ode to our spirit of freedom and belonging to the same planet, the earth, our home. . . it contains at the same time the vibrations of the the Sicilian sun and the Memphis blues, the Sycomore [sic] fragrance vibrating together with the peated scents of the night." In other words, it's a combination of influences; and, as a nod to the classic Eau de Cologne, it could have been worn by an male American composer in the 1920s-30s just as easily as it can be worn by a female perfume-lover today. 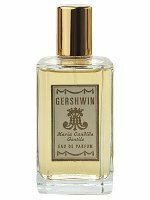 Maria Candida Gentile Gershwin is available in 15 or 100 ml Eau de Parfum. For buying information, see the listing for Maria Candida Gentile under Perfume Houses. 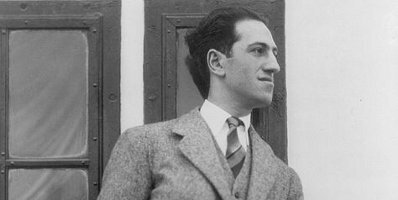 Note: top image of George Gershwin via Wikimedia Commons. Oh, Gershwin, been on my wish list for a while! I really enjoyed it. Thanks so much for the review! Thanks, Omega! I actually don’t own many citrusy-cologne fragrances, so I’ve been enjoying my sample vial of this one. Me either! We must be scent twins or something, from what I’ve read on your reviews! I too prefer it over the Annick. I do like orange blossom but I am picky about ob scents at the same time. Good to know there’s a backup to the reformulated Hadrien. Do you think this one skews more masculine, or about the same? GG, one of the reasons I like this one is that it truly is “gender-neutral.” It’s not “feminine” (no florals, no powder, etc. ), but it’s not too “masculine” for me, at all — and you may know that I usually veer very traditionally feminine in my perfumes (roses, violets, soft ambers)! I didn’t realize that Gershwin was such a looker! And the perfume sounds nice — I love ctirus + woods. I know!! — I think I have a little crush on him now. Wonder where you find her stuff in NY…. That’s the reason I haven’t tried this line until now — I don’t think it was available in the US until recently, when Twisted Lily in Brooklyn opened. Jessica, I’m so glad you reviewed this! I have a small bottle of Exultat, the violet-incense one, and really like it. One of the MCGs is a rose-incense – I think it’s Cinabre. I know you are a rose fan, so I hope you have a try that one, too, and let us know what you think. Oooooh, violet-incense sounds so lovely…have you tried the di Orio Violet Fumee? If so, how does it compare to this one? I haven’t tried Violet Fumee yet, so I can’t compare, but Exultat is really nice. Thanks, Mary. I haven’t tried anything from that line yet. I might buy “mon nom est rouge” just for the name! Goutal was one of the first “niche” houses that I really explored, too. Such beautiful florals. Sorry, irisfreak, what I meant to post as a reply was that IndieScents has a sample pack online. Irisfreak…it was definitely in-store at Henri Bendel’s when I was there in July. She was a featured guest speaker at Sniffapalooza in October (which I had to miss, unfortunately). so I would tend to think they are still there. In any case, I do have to revisit the line again and I hope to be at Bendel’s sometime before the end of year (really I should, it is a 10 minute walk from my office!). I tend to avoid Bendel just because of the tourist crowds and the pushy SAs on the cosmetics floor… but I’m missing some good fragrances in the meantime! It really did happen that way! I figured it was A SIGN. I just ordered the whole sample set from IndieScent, too. Self-enabling! I need to try some others, as soon as I can order some samples! Thanks, Daisy. I think I used to have your address….egad….ages ago. If you want to email it to me — I can send you samples of the ones I have. Hi Jessica, I have a sample of this (from Perfume1 — some times they send very interesting samples), and my nose picks up quite a bit of frankincense (with citruses) already in the very opening of this one. ?